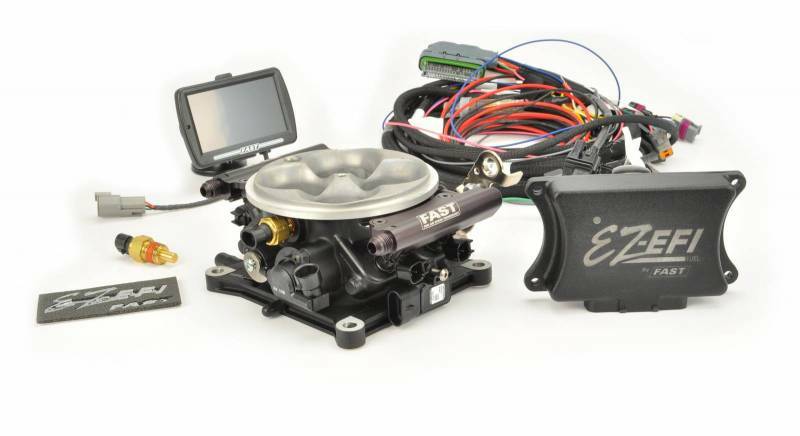 The new EZ-EFI™ Self Tuning Fuel Injection System provides you with the complete EFI package, including the ECU, wide-band O2 sensor, wiring harness, fuel injectors, an optional fuel pump kit and other assorted components, including the innovative 4150 Throttle Body from FAST™. This cast throttle body gives you the total package for your existing 4150-type manifold and comes with everything, including the appropriate fuel injectors and fuel rails. Inline fuel pumps are easier to install than in-tank fuel pumps because the fuel tank does not have to be removed. However, there are several advantages to running an in-tank fuel pump versus an inline fuel pump. FAST™ engineers recommend an in-tank fuel pump when possible. owner / operator Legends Motorworks llC.